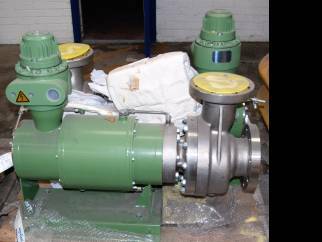 Unused Nikkiso-KSB Model HT260-D1-C3 040-250 Stainless steel canned motor centrifugal pump. Has 127mm diameter inlet and 102mm diameter outlet. 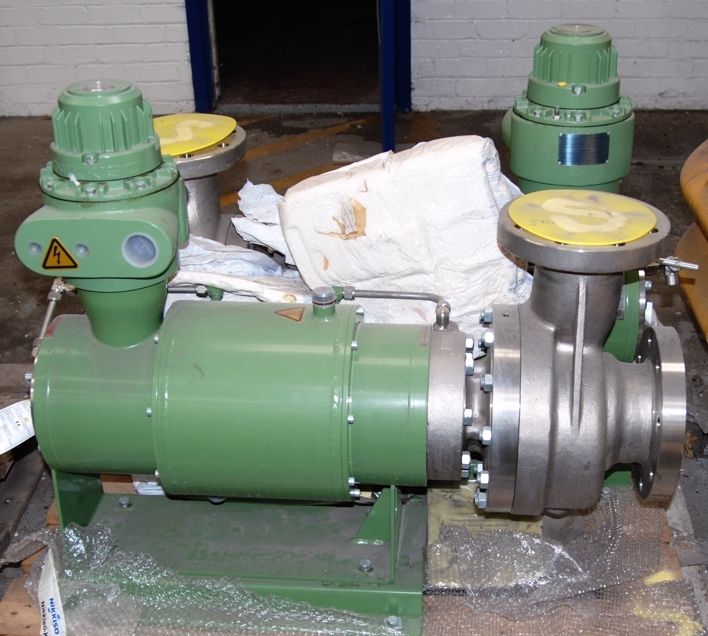 Impeeler direct driven by a 32.7kW 415 Volt 3/50, 59.7 Amp 2915 rpm EExd II 2G Ex de IIC T3 rated motor. Rated at approximately 190 cu.m/hr at 26.3m head. Pumped liquid max temp 190 deg.C. Ineris 01, ATEX 0031, CE marked.